A medium sized view of all the track so far. 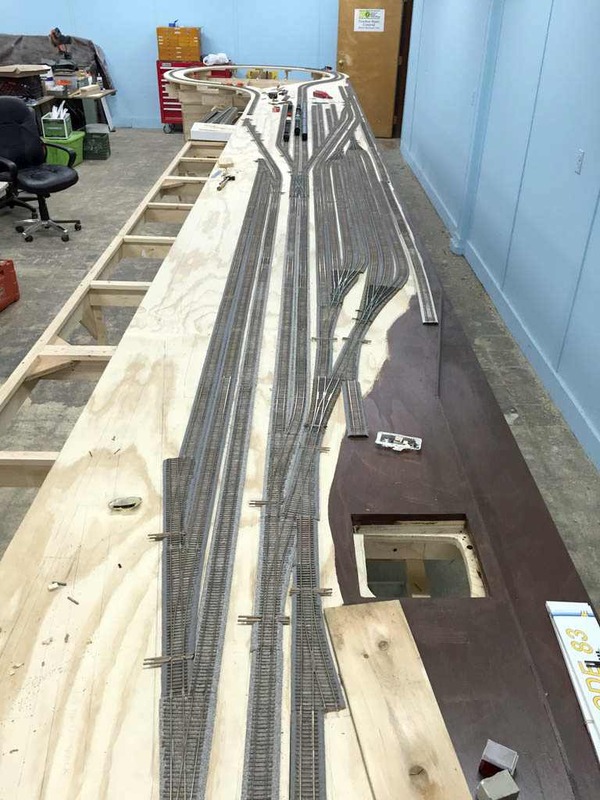 We are waiting for the rest of our track order to come in to complete the yard area on the left. The right side is complete with the exception of the lead track for the coal dumper.